Who supplies the belts / Gis? Where on the product will it be embroidered? What is the cost and labor to embroider a belt? How long does it take to embroider a belt? 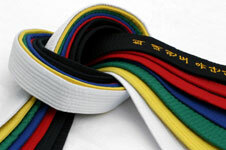 What is the cost to embroider a Gi? How long does it take to embroider a Gi? How is E-Z Stitches paid? Who is E-Z Stitches Plus? Where Can You Reach E-Z Stitches Plus?